It might creep you out. Recently, Grace Montoyo got Twitterverse shookt when she posted several pics of herself in her account. 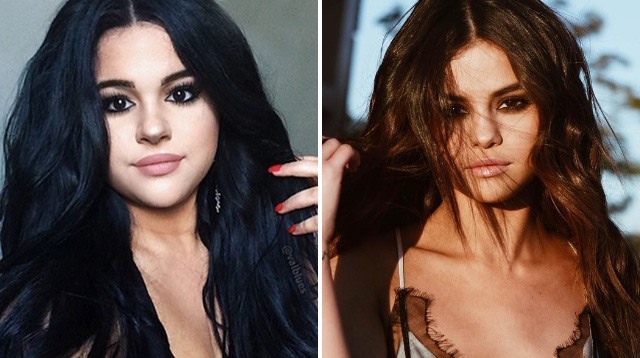 On that same day, she got tweets from people who thought she closely resembled Selena Gomez. Grace was quite skeptical with the resemblance, though. Anyway, being a Selenator myself, I turned to Google to see if there were other girls who possibly looked like the Latina singer, and I found Instagram account @selenamarielookalikes with a feed full of doppelgängers! And this photo had me do a double-take. Wait. What? Isn't this Selena? This is also not Sel! As of writing, the account has 418 photos of Selena's twins. What do you think, CGs? Do these girls look like her?